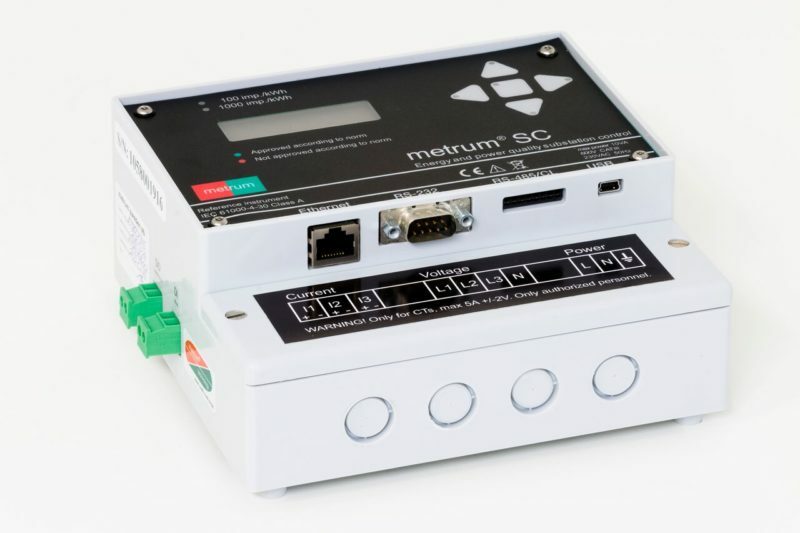 The Metrum SC is an intelligent 3-phase energy and power quality instrument for continuous monitoring in prioritized measurement points. Metrum SC is preferably utilized for measurement of energy and power consumption, and makes intelligent internal analyses in accordance with chosen norms. Metrum SC provides complete analyses of consumption, power, and energy, and alarms at exceeded limit values. The instrument is equipped with several different communication ports and can be remotely controlled.